The Lisbon Marriott Hotel has a new image, the result of two months of remodeling. The goal was to transform this superior four star into a more modern and technological hotel. The first phase of renovations, which took place in July and August, centered in the 200 bedrooms and bathrooms. All rooms will provide free tea and coffee service. 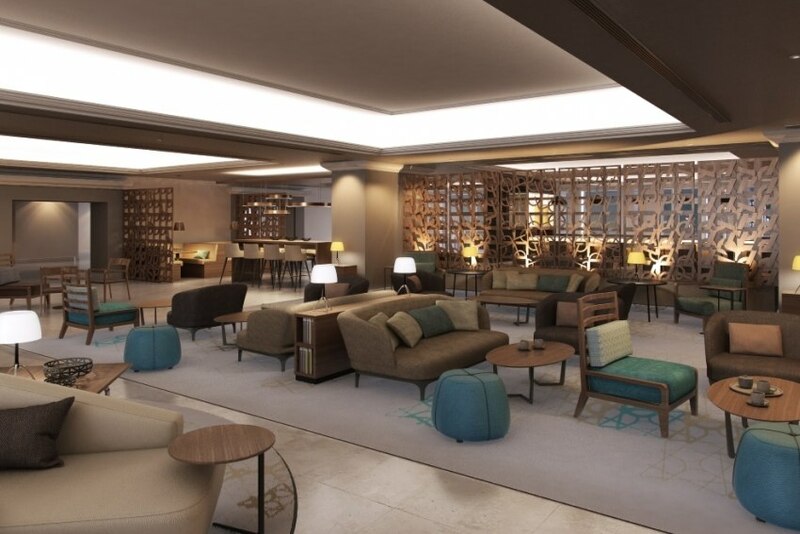 Throughout 2014, the major renovation will also include the lobby, following the "Greatroom" concept, which is part of the Marriott group's international strategy. The space will be redesigned to convey a functional and pleasant environment, and thus meet the travellers' needs, especially those travelling for business, who have as current priority the ability to relax even at a work environment. The entrance will offer a bar and will be an interactive space of coexistence, where people can have a drink, talk, work, read, access the Internet or have a meal.